it goes perfect with this little yummy chocolate. I know chocolate is definitely Royal Heaven for me...LOL! Hope you enjoyed my treat! 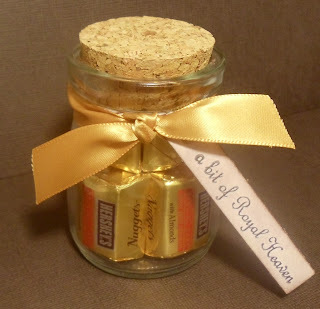 Really cute idea for special little gifts. Great idea, I want to do a little something for the teachers that attend our church and this would be cute! I love it!Super Cute and Yummy too!I have that Stamp set and Love it! 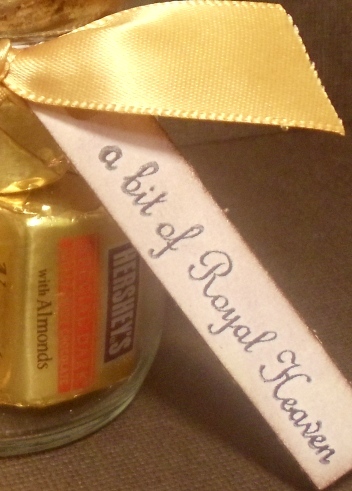 OOO La La I think this is a cute gift, I like it, can go for some chocolate right about now. Great gift idea. Sooo super fun. Love the cork top too!